In order to use Two-Factor Authentication via an OTP Security Key, you first need to have an OTP-compatible Security Key. They can be purchased from Yubico's website. YubiKey Standard and YubiKey Nano are OTP-only models that you can choose. 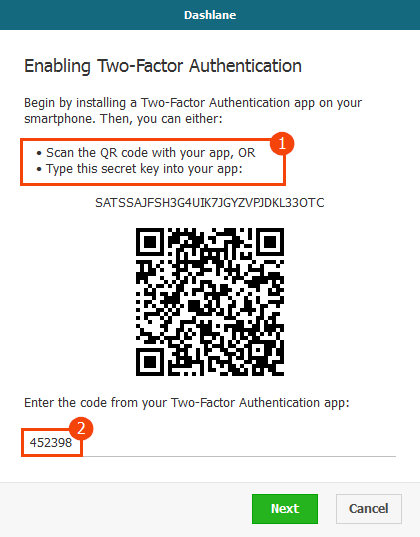 You will also need to download the Yubico Helper app (for Windows only) to set-up Two-Factor Authentication and generate codes. 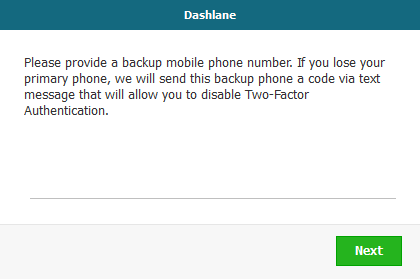 Please note that only 6-digit codes can be used with Dashlane - make sure that you are not generating 8-digit codes. Lastly, you will also need to make sure you have available configurations in your YubiKey. If all your configurations are currently used, you will need to download the YubiKey Personalization Tool to delete a configuration. 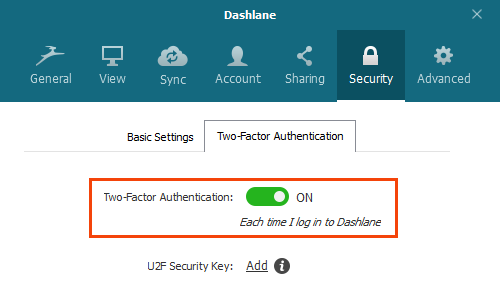 If you own a Security Key that is compatible with both OTP and U2F, and if you also wish to use that same Security Key to activate U2F in Dashlane, we strongly recommend that you do not use its OTP function to replace your Two-Factor Authentication app. To enable Two-Factor Authentication, go to Tools → Preferences on Windows or select Dashlane → Preferences in the menu bar at the top of the screen on macOS. 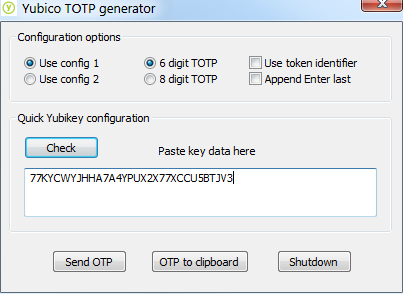 Now, make sure your YubiKey has been inserted into a USB port on your computer, then click here to download the Yubico Helper app for Windows: YubiKey TOTP Application for Windows. 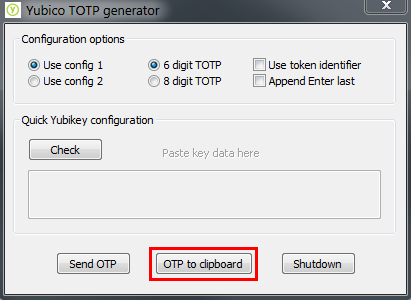 Run the app, right-click the Yubico TOTP generator icon in your Windows taskbar and click on Show configuration window. 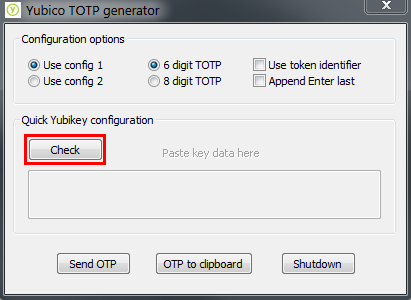 Once the Yubico TOTP generator window opens, choose an available config (1 or 2) and click on Check. The app will tell you if that particular configuration is available. 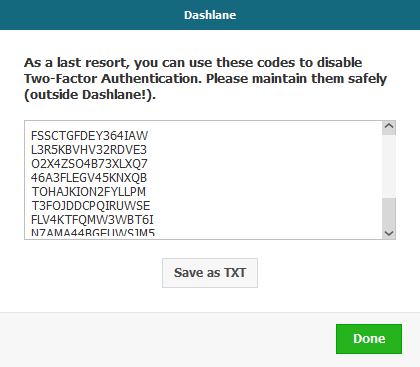 Please then paste the secret key previously copied from Dashlane into the Paste key data here field. Your Yubico Helper app will then start generating 6-digit codes for Dashlane. While using the config corresponding to Dashlane, please click on the OTP to clipboard button to copy a code generated by the app and paste it into the same Dashlane window from which you got your secret key before, into the field at the bottom. Now that Two-Factor Authentication is all set up, you can start using it! 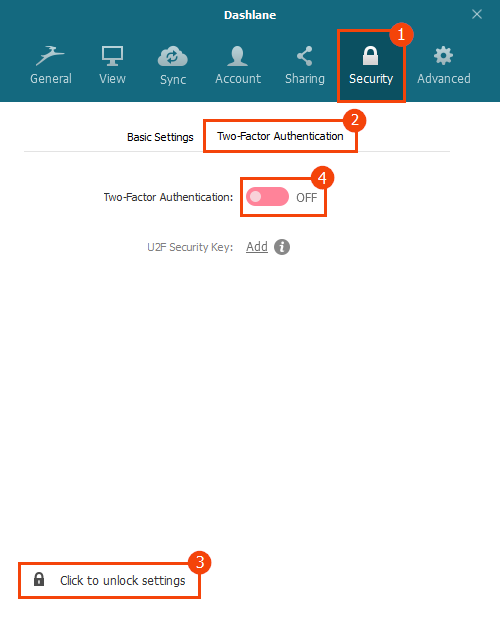 When a security code will be required, copy that code from your Yubico Helper app by clicking on the OTP to clipboard button, and paste that code into the dedicated field on the Dashlane app. 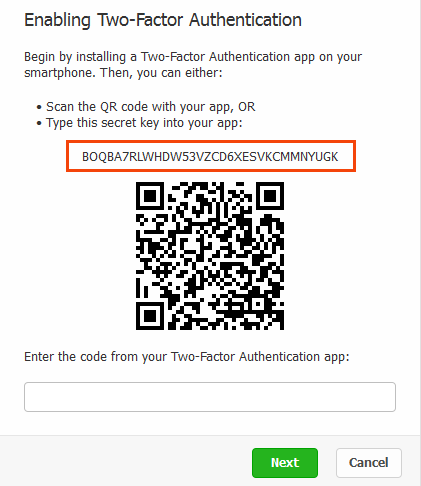 You will need to use your Yubico Helper app one last time in order to disable Two-Factor Authentication. If you have lost your YubiKey, click here to learn how to use one of your back-up solutions instead. 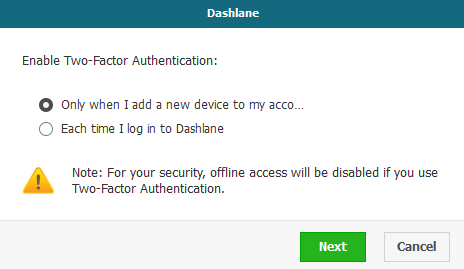 Get a code from your Yubico Helper app by choosing the config corresponding to Dashlane and clicking OTP to clipboard (alternatively, you can use one of your back-up codes), then paste the code into the provided field when requested by Dashlane. Two-Factor Authentication is now disabled! Note that after Two-Factor Authentication has been deactivated, you will have to re-authenticate all your other devices using our standard security code system that works by e-mail.